Sally offered free advice on evaluation and impact at the Resilience not Reliance events in Yorkshire, designed to help cultural organisations explore ways in which partnership and collaboration can lead to stronger business models and a more sustainable future. Sally provided advice about measuring impact, as one of the pool of industry specialists hosting hot-desk surgeries. 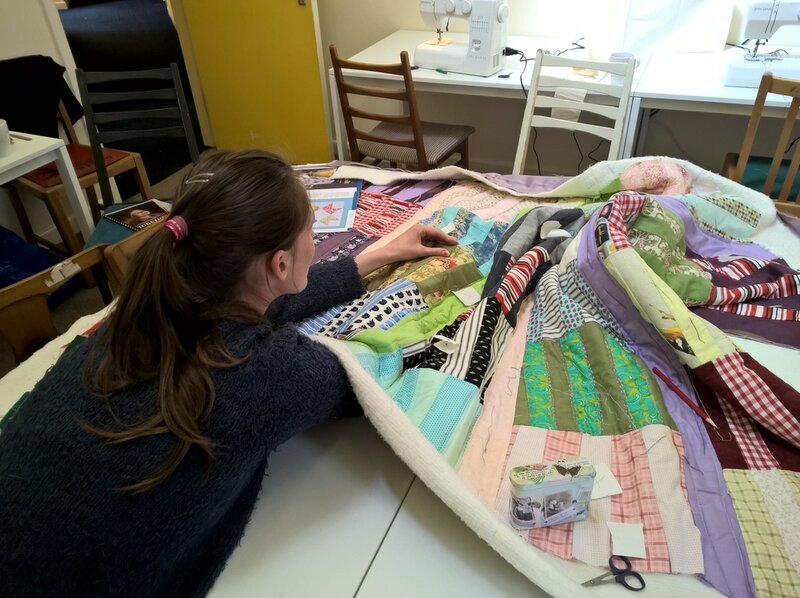 Sally was commissioned as action researcher to identify the social impact created by Gawthorpe Textiles Collection working in partnership with Calico Homes to establish a community textiles studio. Using a theory of change and regular monitoring of the activities, participants, processes and partnerships, the project was able to demonstrate its proven ability to increase wellbeing, with outcomes including improved mood; increased wellbeing on SWEMWBS scale (leading all participants of three or more sessions to reach wellbeing scores above the regional average, with the biggest increase in those with the lowest starting scores); increased socialisation; new skills; increased co-ordination in fine and gross motor skills; increased relaxation; new friends, a better place to live; increased confidence; increased energy levels and a general willingness to try new things. 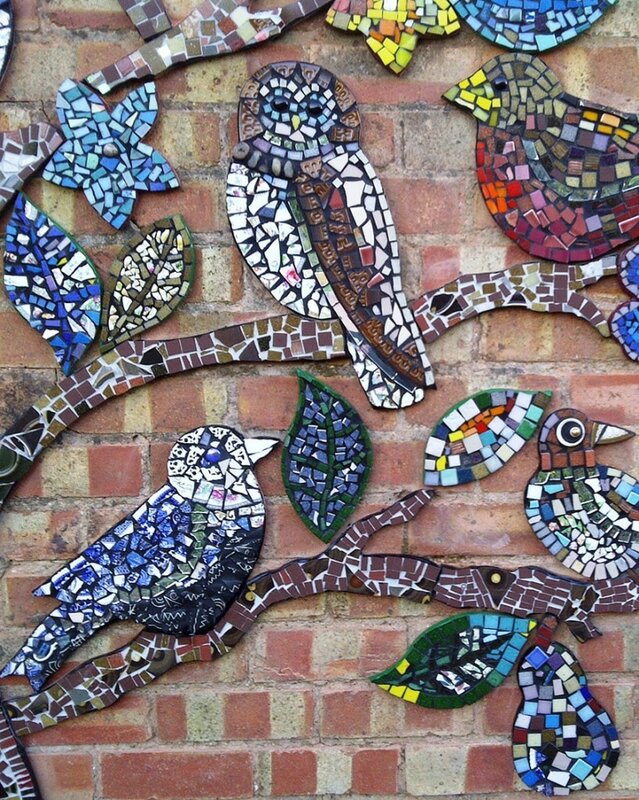 Escape Arts in Stratford have been carrying out arts activity with social aims for 25 years now. In recent years they've acquired a permanent base in the historic 17th century Old Slaughterhouse and adapted it into an arts and heritage centre. Sally worked with their board of trustees and directorial team to look at the future, crystallising and articulating more clearly what the purpose of the organisation is. As a result Escape Arts can follow it's own direction and make strategic decisions accordingly, rather than lose its vision and become fragmented by following the 'low hanging fruit' of the funding system. Escape Arts wants to be in a position to work smarter, more efficiently, and to care for the wellbeing of its staff as much as it does its community; to run a venue as well as continue its well established work in the regional community, to look to a resilient future whilst staying true to its roots. The outcome of the work is a clear vision, set of organisational objectives, and understanding of how to fulfil its charitable objects well, healthily and sustainably. In partnership with fellow Social Return on Investment evaluator / Social Value UK Member Andy Bagley, Sally co-ran a development and scoping workshop with Leeds Museums & Galleries to help the senior leadership team understand the potential social, economic and environmental impact they might be having across their venues and sites. 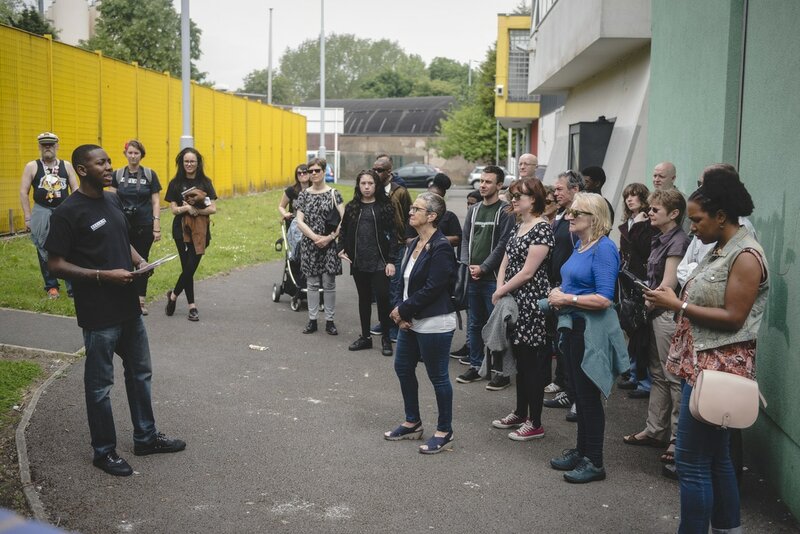 The workshop lead the team to consider and prioritise the benefits to their visitors and other stakeholders; and explore a pilot project which could test and develop a methodology to be used across the rest of their sites, and by the wider museum sector. The Whitaker Community Interest Company contracted Sally to assess the community impact of the museum and art gallery they are contracted to manage; having spent two years redeveloping the venue and introducing a new vision and programme, saving the building from closure. By evaluating a series of events over 6 months, and consulting with the visiting public onsite and online, as well as staff and volunteers, it became evident that The Whitaker was particularly strong in developing local pride in the wider area; a significant increase in wellbeing during visits compared to other areas of visitor life; a unique proposition due to the mix of environment, programme, vision and facilities; a strong positive effect on the lives of volunteers (including health, wellbeing, employment, educational and economic outcomes) and an expertly developed approach to inclusion. In addition, The Whitaker's contribution to local strategy was highlighted through its projects and programmes for older people, which help the area meet its dementia friendly aims. The research was carried out using a range of methods including social return on investment principles; observational tools developed by health and academia professionals; the New Economics Foundation Dynamic Wellbeing Model and Five Ways to Wellbeing; creative consultation activities; and more traditional market research methods. As a result of the evidence produced, The Whitaker received the Best Cultural Venue award for Lancashire in the regions' tourism awards (2015); and have been able to use the research as evidence in a major capital funding bid to help secure the venue's future. It also highlighted the potential to improve income generation, expand its volunteering programme, and further increase its levels of customer service. After several years monitoring profile, partnerships and attendances for their flagship Festival project, Manchester Histories wanted to dig deeper and test their instinct that the Festival also created social impact. They commissioned Sally to develop a new evaluation framework which would cover 400+ events produced by 200+ partners and c68,000 visitors across nearly 90 locations. Using quantitative and qualitative methods based on a range of social, cultural and wellbeing outcome frameworks; an outcomes map was created showing the short and medium term outcomes and the impact they contribute towards in the longer term. This was then embedded into a larger logic model summarising the full resources, reach and impact of the Festival. As a result the Festival has been able to demonstrate its impact on increased wellbeing; stronger culture and identity of diverse populations; and improved places and communities. It also has a better understanding of the needs of its partners and the improvements it can make to systems and resources. The Highlife Centre in Coventry has a well developed programme of activity and support to help excluded or disadvantaged individuals and communities break through barriers that stop them achieving their full potential, and work towards a more confident and productive life. Often this involves training and / or social activities that enable people to feel more ready for work and develop financial independence. 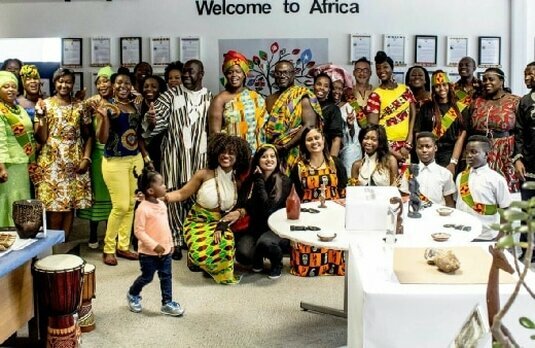 After a pilot programme exploring how African heritage can contribute to these aims, the Centre chose to embed this aspect of its work as one of its charitable objects and embed it more permanently and vitally into the core of its work. and a monitoring and evaluation framework to monitor quality assurance and reflect back to their theory of change for strategic decision making.